On this page, you can read both positive and negative reviews posted by real subscribers to strategies. Regardless of whether a review is positive, you must remember that there is a substantial risk of loss in futures and forex trading, and also that there is a substantial risk of loss in online trading of stocks, options, and equities. Remember: past performance does not indicate future performance. Delivers consistently solid gains. Highly recommend! Historical returns are great and the use of hedging is brilliant. At this point, April 2019, it is in a slump. It's not clear to me what the reason for the slump is as S&P has been climbing for months. Maybe this is causing VIX to be too low or too stable for this style of trading? The developer wrote that he wants to double the subscribtion price every two months. That would be OK if the portfolio would make very good profits. But after a poor performance in Feb+March 2019 that statement is just pure arrogance. Trader does not respond a very simple question after big losses.. Avoid this system. So far so good. It underperforms a little (my results are a little less profitable than what C2 is showing). It's interesting to observe it as it is a strategy that is very willing to hold onto negative trades for a long time until they come back up to breakeven. But it works so far in its history. I joined at a good moment. I would not want to join right before a drawdown. I joined towards the end of a drawdown and caught the bounce back up. I've only been in it for a few months and wish C2 asked for reviews further out. I have been very pleased with performance over the last 4 months. You can tell he has been trading for many years. The strategy was fine. But last days a big draw down. And what is even more negative, the tradeleader is since 9 days not accessible for questions. A stupid strategy. all in the wong position. The strategy makes sense for the simple implementation. The max drawdowns are in line with the risk/return of the 3X use in the strategy. Ideally lees trading without hurting the overall outcome. Good strategy. Didn’t make or lose money so I’m neutral. Good strategy but doesn’t work well under current market conditions. I held for a year but it’s time to try other strategies that are adapted for the current market. I have been holding for a year. No gains but no major losses. The algorithm seems very well tuned for predictable markets but with the current environment most trades don’t win. Amal is the antipathy of a 'cowboy' trader - his trading maturity is exemplified through, both his trading history, aswell as through his advice over messaging. An honest, measured trader - what a refreshing change! Lot of Talk and ***. Has very less clue of what he is doing. Stay Away! I am very pleased with the strategy. It is very easy to follow with trades issued every morning about 2 hours before open. I just manually follow the strategy. It has been very profitable so far. I am always concerned that every strategy will eventually revert to the mean of the market, but it appears to be worth a short using this one. I don't trade it at C2Broker since C2Broker requires 2 day settlement time. I find it better to trade at Interactive Brokers, TDAmeritrade, or Robinhood. just another one of "those"
No Clue what this is! Very disciplined trader, doesn't seem to vary from trading rules. Returns speak for themselves. Keep up the great work. Very solid results for stock trading! Highly Recommended! It worked really well when the market was going up. David was able to capitalize on one big market crash in Feb 2018. However, the continued market vol has been crushing this strategy. It seems David's system doesn't handle anything but bull markets yet. Solid strategy. Long term. 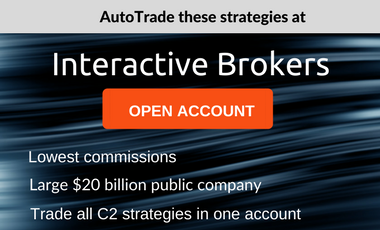 The strategy leader is approachable and can explain all the reasoning behind the trades. Make sure you scale your trades accordingly. The Spirit of Nicolas Darvas. balancing risk management with great returns. Must follow closely. Very trustworthy strategy creator. Overall the record dictates the Trade Leader is successful but I was not a fan of the huge draw downs I incurred. A cheater. Curry favour by claptrap? I am happy with the results to date. Going into my third month of trading with this strategy. I have been subscribed to this strategy for almost a year now. Performance has been good and the strategy developer is knowledgeable and straight-forward. The strategy employs fixed stops and fixed sizing and is highly automated, which gives peace of mind, especially when trading a leveraged instrument like futures (as far as I have seen, futures strategies without stops and fixed sizing rules seem to blow up regularly on C2). Too early to tell yet - but way too risky without hard stops within a 5% account balance risk range - I appreciate that these need some flexibility with volatility, but no reason not to use them at all, or have them so big it makes the R:R way too high/unacceptable. I don't like systems which spring a biggish loss out of the blue after a good run - the opposite should be happening, by protecting *** profits, especially around what is usually a very volatile time of year over Christmas and New Year. I only previewed this system for 30 days, but the trader is very disciplined with stops and taking profits. His track record speaks for itself, but I think that perhaps using this system with a an additional inputs may raise the w/l ratio which is why I was looking at it. Very impressive live results - even better risk management. A straight recommendation! The strategy is great and the manager is very approachable and helpful. I had to cancel as I don't have enough capital to employ it effectively. Not for faint hearted. Make sure you scale down your allocation and always have enough capital to get assigned shares. Track record speeks for itself. Often increases the size of losing positions but isn't afraid to get out and take a loss if needed. So far the drawdowns have been manageable and the overall return has been good. The last few months have been a bit challenging but overall the system has been doing well. Leader can't decide if he is going to stay or not with C2. There were few messages saying that he is going to leave. System is not being managed for the last 2 weeks. 100% draw down. Fortunately I saw that coming as the leader was sitting on loosing trades hoping for the best. Still lost some money. So yes he dose win 90% of the time but he can hold on losing trades for 2-3 months, and the problem is that all the brokers take money for that. After 2 month I can say that 1 I got unlucky and lost 2 month of November and December,\. 2) I paid 9000$ for the 2 month to my broker for holding short potions. Best Forex system on C2! Awesome service and would recommend to anyone looking for a constant and worry free auto trading. This is a pro and knows when to pull out to avoid losses. The strategy has performed relatively well during the downturn and exceptional during the up market. The manager does a good job of money management/scaling in and out of positions. Clearly isn't trying to hit the home run to gather subscribers. I feel he is managing the fund to do well long term which is what most people are looking for. XIV liquidating and most of the remaining reverse volatility funds switching their VIX futures mix in 2018 will lower returns comparatively. IRA funds not being allowed to short the volatility products some what limits the fund. That being said a 6%-7% return in 2018 is a dream to most. The strategy has performed relatively well during the downturn and exceptional during the up market. The manager does a good job of money management/scaling in and out of positions. Clearly isn't trying to hit the home run to gather subscribers. I feel he is managing the fund to do well long term which is what most people are looking for. Very profitable strategy and knows when to pull out to avoid further losses. Amazing strategy. If your looking to invest safely but profitably this is the strategy. I've tried it all, 401ks,mutual funds ect. This is way better. Good communication from Trader. Good results. Low market beta. Does well in an up market, selling puts. Flipside is it system takes a big hit when market turns, eg Dec 2018. Heath explained his strategy well and answered all questions. He also has really good YouTube videos on the strategy. I ran this strategy on simulation for sometime and saw good results. What attracted me was the low drawdown while running simulation. Unfortunately I subscribed and then lost 9% in the next 2 days. Stopped subscription. Although over the long run it might do well, can't take risk of further downside. I subscribed to this strategy despite warning that this is unachievable scalping. Contacted trade leader on information about how this strategy worked. Didn't get any response. No trades were made for 2 weeks and I unsubscribed. Didn't get any refund. Fees should ideally be prorated. Danny is an incredible trader - he controls risk, while maximizing returns - amazing! it was wiped out all 5 months profits in one moth. I started in July and turned to negative profit today. Not that great. The losing trades are usually 10 times bigger than the winning trades. Worst Strategy of all. Absolute no risk control. This is my 2nd review, PFSignal is highly recommended for the conservative investors. Sharpe Ratio dropped significantly in the past 3 months. Great risk management while still managing great returns! I subscribed to this strategy for 8 months, since it was quite new. I followed it for a long time but I will stop my subscription at the end of this month. First, the minor, but potentially telling issue: the trade leader is unavailable. I tried to contact him a number of times using C2 messages. Every time I asked detailed, specific questions in a respectful, polite manner. He never once answered. The best I can tell about the system that it survives. I.e. it has a winning streak followed by a sudden and bad losing streak but somehow it recovers. The long term p/l is flat or at best mildly ascending. On winning days the system takes several, short term, intra-day trades with uncanny accuracy. Great! But once in a while (I couldn't figure out when exactly) the system gets totally and I mean totally out of sync of the market and takes, with similarly uncanny accuracy the exact opposite of the price movement. To add insult to injury, it hangs on the losing trades (contrary to the system's description there are no stops) for quite some time (and then takes the opposite side and loses on that too. This is how it quickly loses the previously built profits. Rinse and repeat. I'd like to give this system a good review as it's had solid performance since 2014 until this year (2018). However in this rough year of 2018, the system has greatly expanded its drawdown, and worse the system developer hasn't answered messages or even logged in for 51 days (so far). Currently open positions (many in tech which is now tanking) are just being held on hope I suppose and the drawdown keeps increasing. Maybe the market will rebound and bail out the positions, or maybe there is some plan? But if there is a plan the developer isn't telling subscribers--he hasn't even logged in since the carnage got bad. So given the situation I can't recommend this system. So far so good. I have been with this strategy for a month now and am profitable at this point. Au trader who swings for the fences! So far only gotten on base after being beaned! I think the dude blew up! Junior Gunslinger! I like EScalade very much. I am referring to a previous review. Yes, there is slippage. That said, slippage can go either way. Sometimes you slippage will be toe the plus side, other times to the minus side. However, when all is said and done, it likely will even out. To me, it has not been a large concern. I did / could not dig deep enough to judge the quality of the strategy entries. But - after 3 and a half year of successful trading - it seems that the bumblebee can fly anyway. - follow the strategy as long as the above criteria are fulfilled and I have no proven better strategy. SteveY3 knows his stuff. I followed this strategy for a month and although I don't understand it since it seems like a 100% hedged strategy and not something I have back tested previously, his numbers speak for themselves. This would have to be an autotrade user, there is no other option as the system appears algo to me (constant buying and selling). Also, I would have to have an account size matching the strategy to use my own money just due to the way the R/R works. Returns wise appears to be best on C2 in regards to futures returns. Also seems to do well in different types of market moods. Made money initially. This is a day trading scalping system. The strategy's methodology related to timing may be sound but the slippage is horrible and can be up to two points on the ES ($100) for EACh side of a trade. The developer should consider raising the sub fee and cap the number of subscribers or else this strategy may disappear into the dustbin of history. Nothing special with this one. Amazing, safe strategy. You must consider drawdown when trading on C2. I've joined many, and seen some really stupid trades go out of control, with no stop loss, and no plan what-so-ever. Corex is not one of those. Highly recommend.